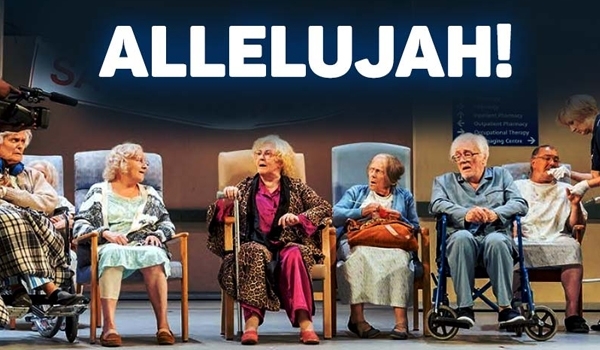 NTLive Broadcast of Allelujah (Eng/2019/150 mins) by Alan Bennet. Dir. Nicholas Hytner. The Beth, an old fashioned cradle-to-grave hospital serving a town on the edge of the Pennines, is threatened with closure as part of an efficiency drive. A documentary crew, eager to capture its fight for survival, follows the daily struggle to find beds in the Dusty Springfield Geriatric Ward, and the triumphs of the old people�s choir. Tickets at Rs.250, 350 and 500 available on bookmyshow.com and at the Programmes desk, Habitat World, IHC. An Old World Culture Presentation. Venue: The Stein Auditorium.